Very interesting, and definitely worth a more careful read. 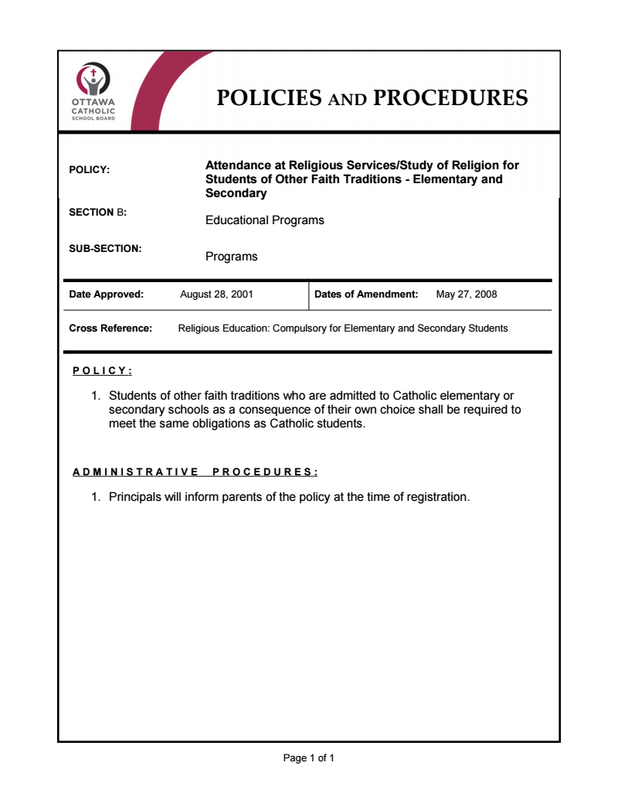 The Toronto policy doesn’t seem amenable to an ‘opt-out’ on the basis that the class activity or material is a distortion of Catholicism, or is that incorrect? 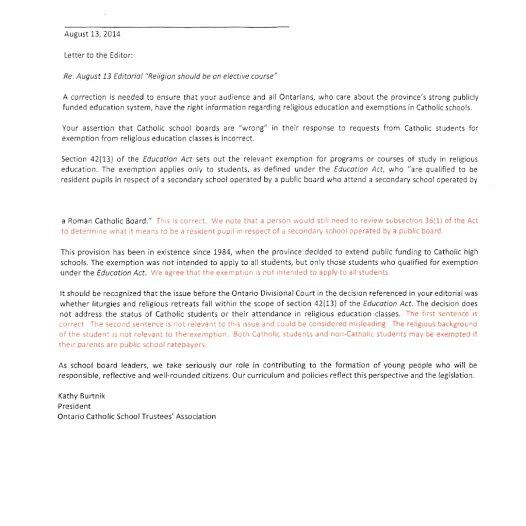 it is illegal not to be allowed to opt out of Religion Class.. We have other posts on the matter, including internal emails of the Catholic school trustees association.